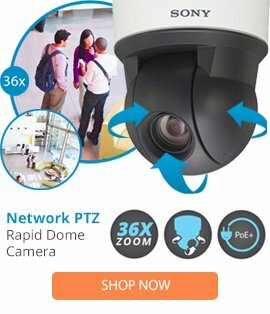 The LTC 3283-50 is a zoom and focus lens from Bosch which has been designed for ½" format security cameras. The LTC 3283-50 lens comes with high quality optics, a video-iris control with ½" format, pre-positioning, plus a 10x zoom range, and a robust, reliable construction. The LTC 3283-50 zoom lens also features a focal length of 7.5 to 75mm, a 1.8m minimum object distance, an iris range of F1.2/512, as well as a C lens mount, and a zoom/focus motor drive. This quality style zoom and focus lens offers a dependable performance over long term due to its sturdy construction and multi coated glass components.